Emerging shoots of a tuberous Begonia. Tuberhybrida begonias are hybrids derived from a variety of Andean Begonia species. They are frost-sensitive perennial garden plants that in temperate regions are commonly over-wintered as a dry tuber. A tuber is part of a stem that is adapted to the storage of food for the plant ( the most familiar tuber is the edible potato ). 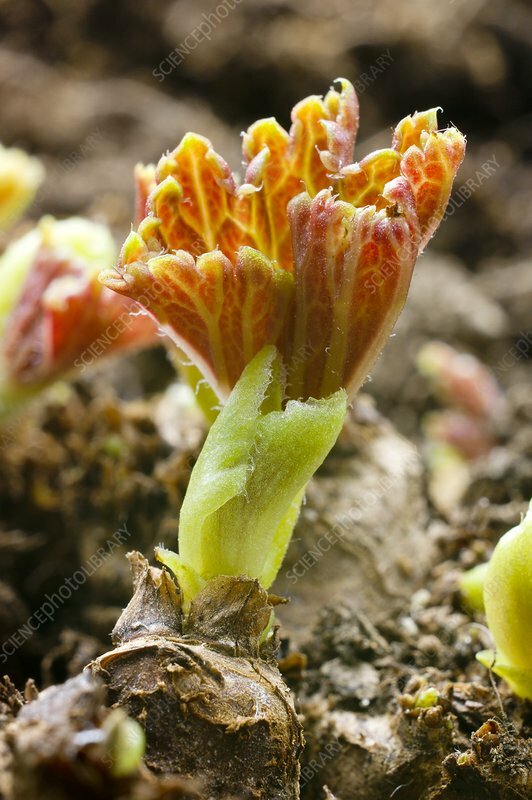 In Spring, Begonia tubers start into growth by producing small shoots from the upper ( concave ) surface; at which time they may be placed in soil and carefully watered from below. The picture shows young shoots growing from the surface of the tuber.